It's been a long week. David Letterman gave his last Top 10 List. But the world was made a little better thanks to these four-legged heroes. Russell the cat was burned in a fire but got a second chance at life. 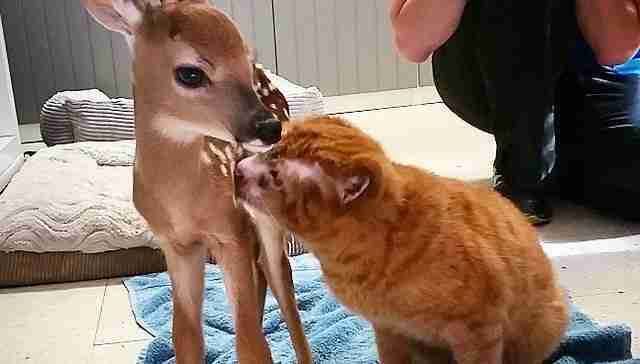 So he pays it forward by comforting other animals in need. 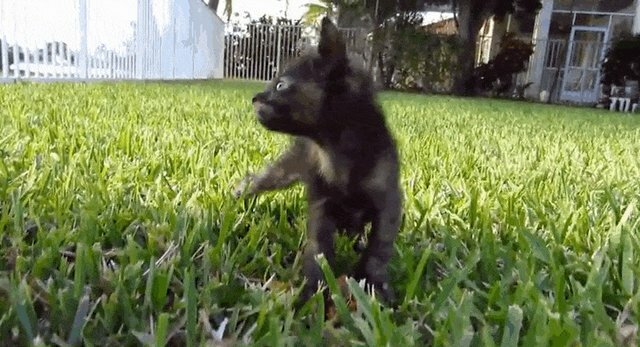 This foster dad - who happens to be a dog - protects the family's new kitten on her first day of exploring. 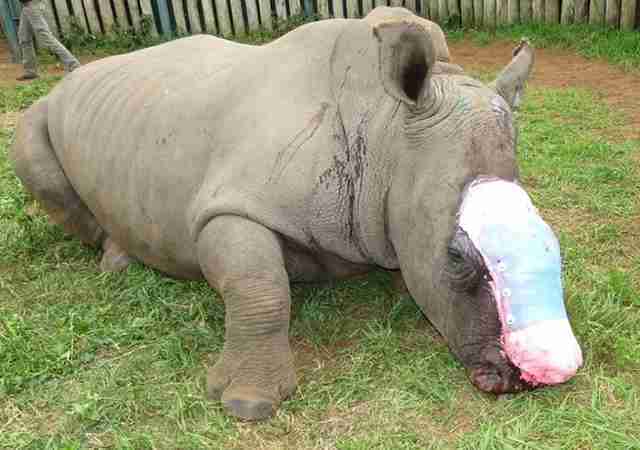 This sweet rhino recovering from a poacher's attack has a "desire to survive" and one heck of a fighting spirit. We're rooting for you, gentle giant. 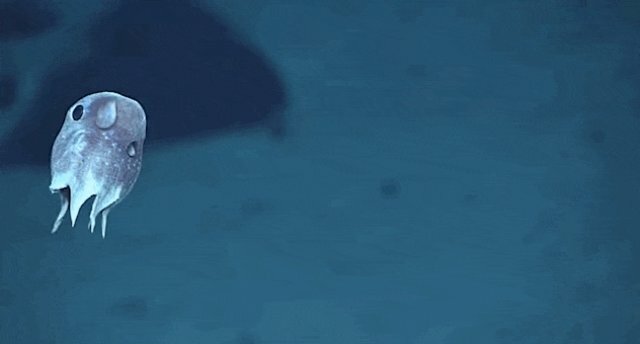 A tiny "Dumbo" octopus is proving that Mother Nature is more entertaining than Netflix. Mr. Octopus, you're our hero just for existing. 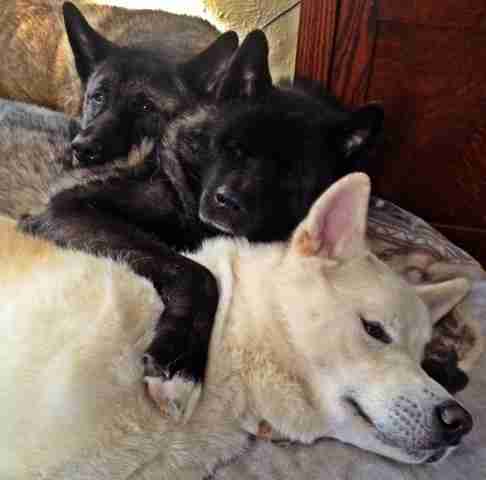 These sweet siblings ALWAYS have their blind sister's back. They even cozy up next to her when it's nap time so she doesn't feel alone. Welcome to the world, little squee-ables! 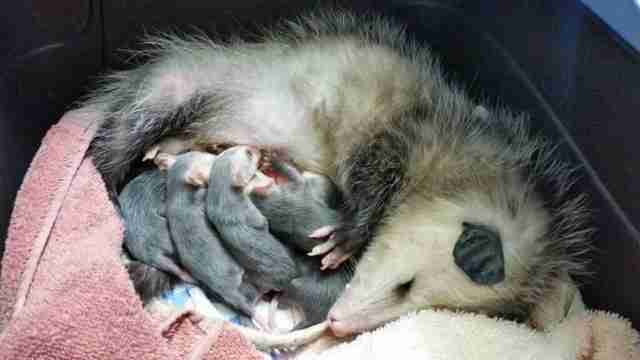 This "miracle" opossum was orphaned, fought "valiantly" to survive and is now a proud new mama. 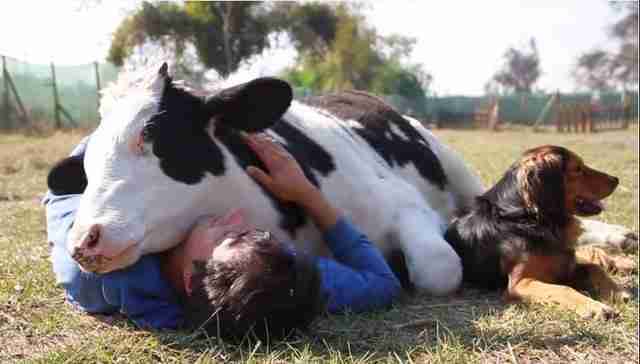 Salvador the bull survived a dairy farm in Chile and has made it his new life mission to provide as many snuggles as possible. 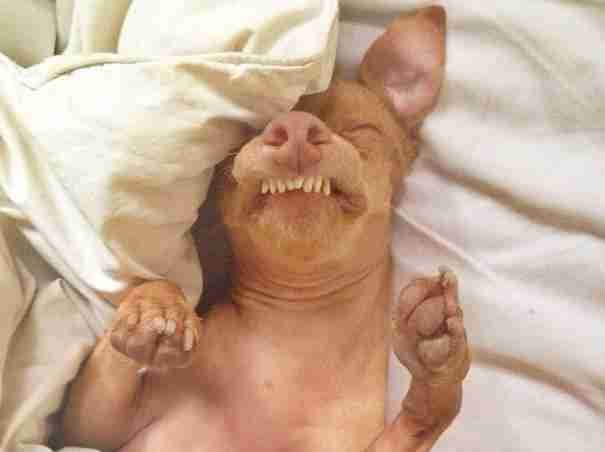 Tuna is the coolest dog on the block. 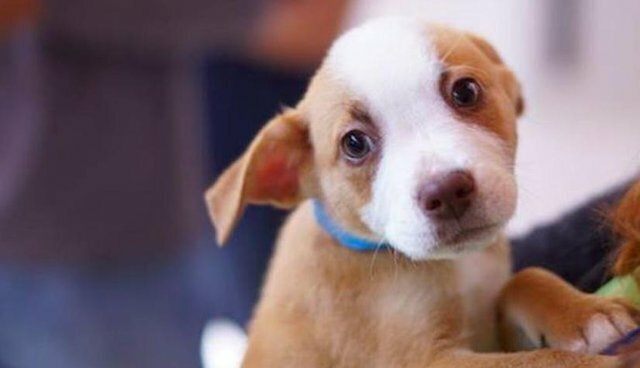 He's using his distinctive look for good - helping shelter dogs find a home. 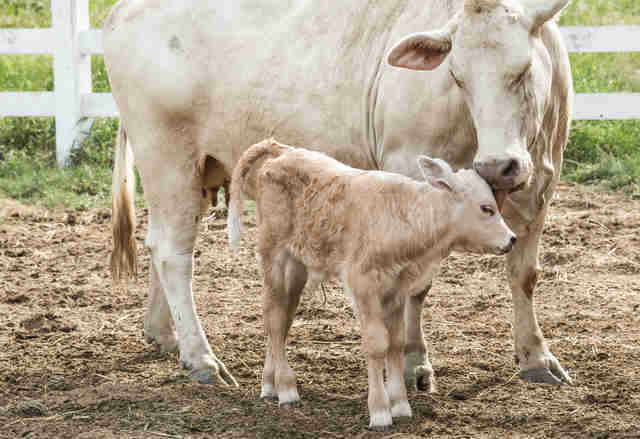 Cows and pigs are proving daily they've got huge hearts - and now they need human heroes to protect them in North Carolina. And lastly ... puppies! 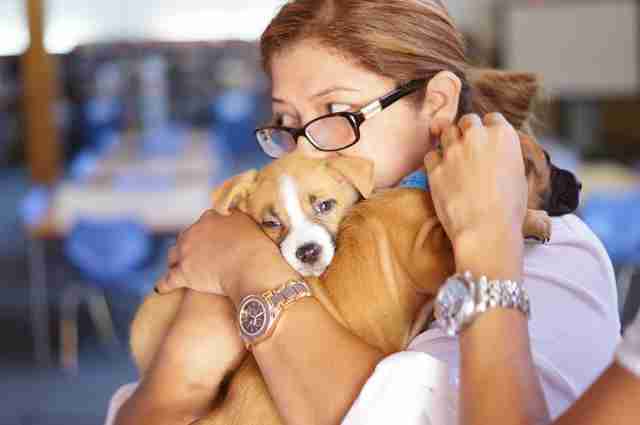 These "snuggle delivery" pups are doling out happiness in workplaces, and human heroes are finding them forever homes.